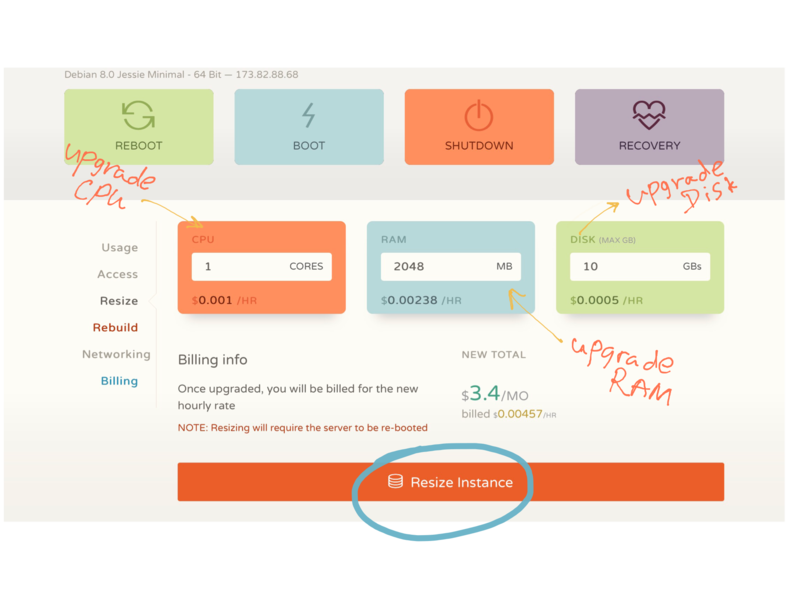 Resources such as CPUs, RAM and Disk space of your instance can be easily increased or decreased through the CloudCone panel. Then select Resize from the left side navigation menu. Select the new values for CPU, RAM and DISK. The DISK can only be upgraded and not downgraded. Click on the Resize Instance button. You will be asked to verify your action, click Yes to continue. 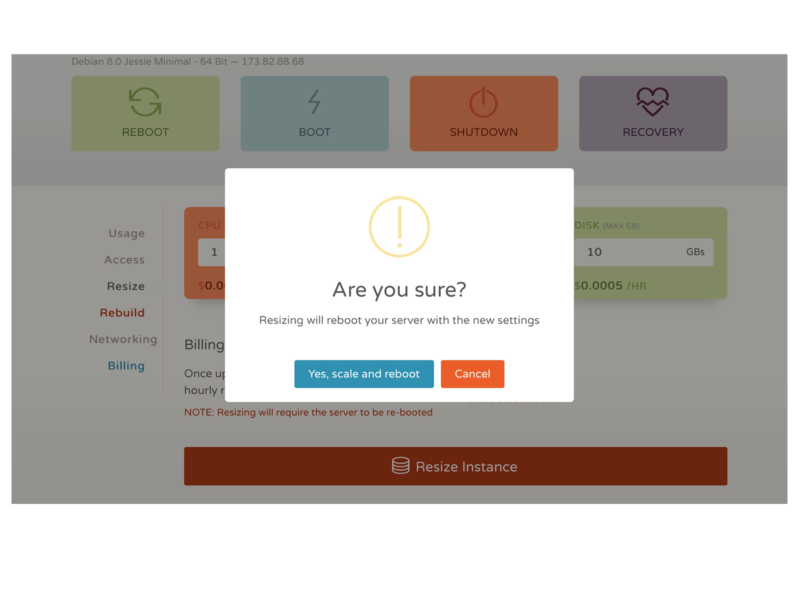 Your server will now be rebooted to apply the changes and this process will take around 30 - 40 seconds during which time your instance will be offline.